Seth Pylon and von Flugsand ausgewaschen project! Unique double album. It was their only release and it was a great one. CD 1 contains song oriented material and CD 2 a 45 minute Krautrock/ Ambient masterpiece! 2nd CD: one 45min. song with different parts, mostly instrumental, rather guitar-ambient sounds. 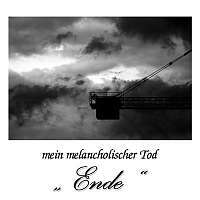 The first and (probably) last record (Title: "End" in English) recorded by this project. But don't worry, the main man behind this project is still recording and releasing music. Comes in a Jewel Case with 2CD's and many additional prof. printed photos incl. lyrics. A very beautiful and complex release with wonderful music offering a great variety.